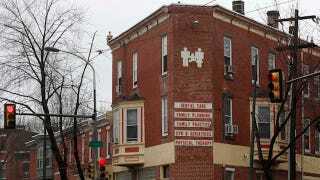 A Philadelphia doctor faces murder charges for operating what one DA called a "house of horrors" abortion clinic where a woman and many already-born infants were killed. — His employees had no medical training, and one was a high school student. — Possibly as a result, an apparently healthy woman died at the clinic from an overdose of Demerol. — He induced the live births of babies and then killed them by severing their spines with scissors. — At the clinic, "there were jars, lining shelves, with severed feet that he kept for no medical purpose." — He maintained a "separate, slightly cleaner area" for performing abortions on affluent white women, whom he thought were more likely to lodge complaints than the low-income minority women he saw. If these allegations are true (and there appears to be a wealth of evidence), then it's clear that Dr. Gosnell thought nothing of exploiting women — especially poor women of color — for financial gain. His "house of horrors" apparently made him millions while he ignored women's health and murdered fully-born babies instead of performing abortions. Unfortunately, some are likely to take this story as proof that all abortion providers are evil profit-mongers. Really, it should show us how important access to safe, legal abortion really is. The terrifying, unsanitary, and inhumane conditions at Gosnell's clinic recall the days of illegal back-alley abortions, as do the stories of women traveling to Gosnell from far away because they couldn't obtain abortions elsewhere. Gosnell was apparently allowed to continue with impunity because state regulatory agencies were lying down on the job — they didn't respond to complaints, and didn't inspect his clinic for over 15 years. But if women were able to visit affordable, and well-regulated abortion clinics, they'd be less likely to turn to criminals like Gosnell, and his indictment should really be a reminder that women need more places where they can safely and legally get an abortion, not fewer.